Available with square or diagonal lattice panels. The classic cedar arbor will be a beautiful addition to your home! Constructed with solid cedar 4X4 posts it is very durable and naturally resistant to decay and insects. All components are made of clear western red cedar that is kiln-dried and sanded. 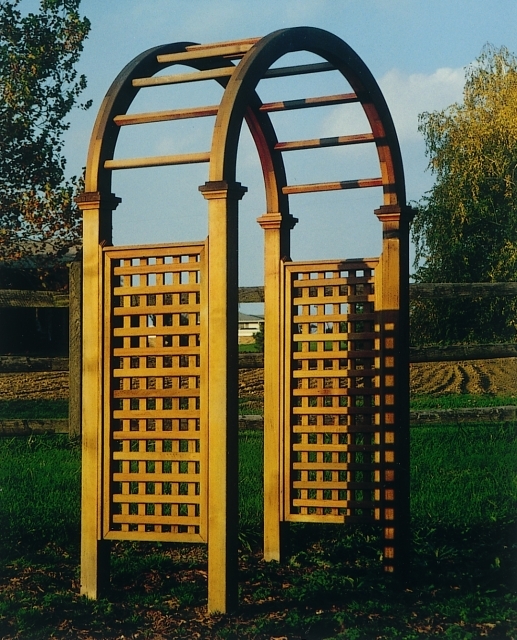 Each arbor kit includes 2 arches with dowel spindles, 4 special post caps with dowel pins, 1 pair of diagonal or square lattice panels, 4 posts, installation instructions and hardware.